Staying in Zurich but still want to be part of the adventure scene in Interlaken? 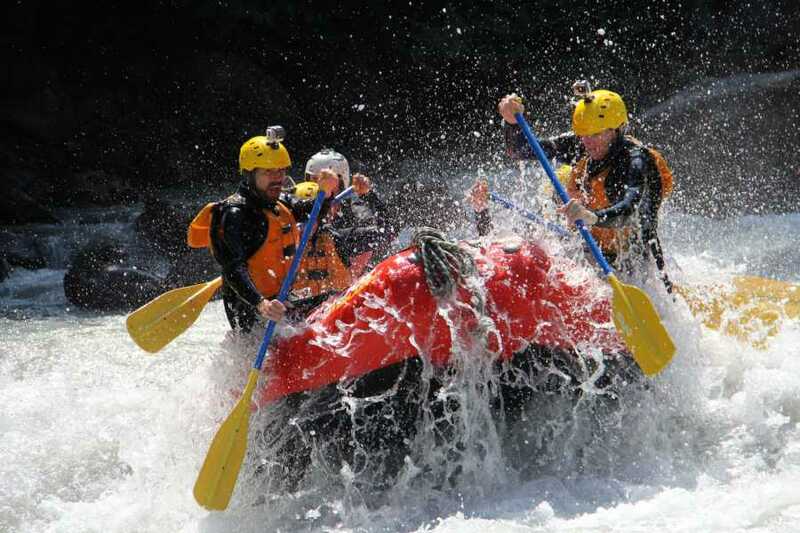 Then take advantage of this fantastic service including air-conditioned coach transfer from Zurich to Interlaken and the best white-water rafting trip in Switzerland. Its even cheaper than taking the train! The coach departs Zurich at 8:00 bringing you in comfort to Interlaken by 11:00. On arrival you have 1.5 hours to explore the town and find some lunch before meeting for the Rafting trip at 12:00. Following your thrilling white-water adventure you still have a couple hours free before the departure at 6:00pm, just enough time to squeeze in a Paragliding flight or Vertical Rush! IMPORTANT: This package is only available as a day trip. Please select the same dates for the departure from Zurich and the Rafting Lütschine.